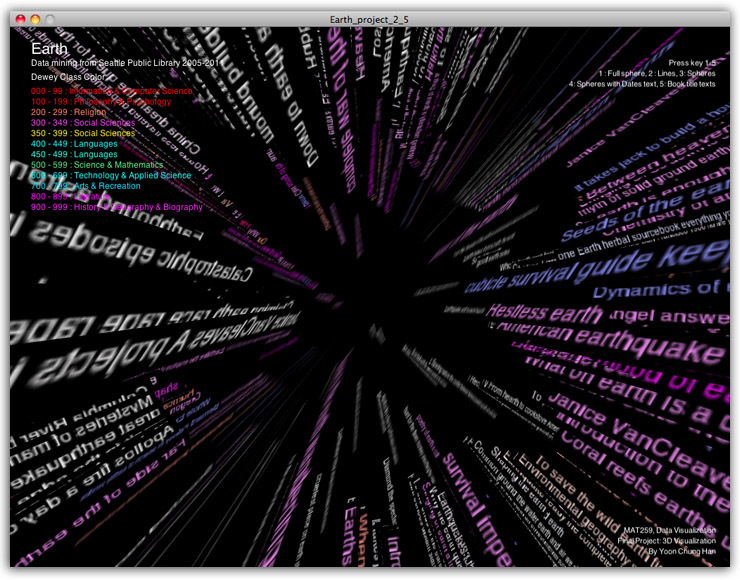 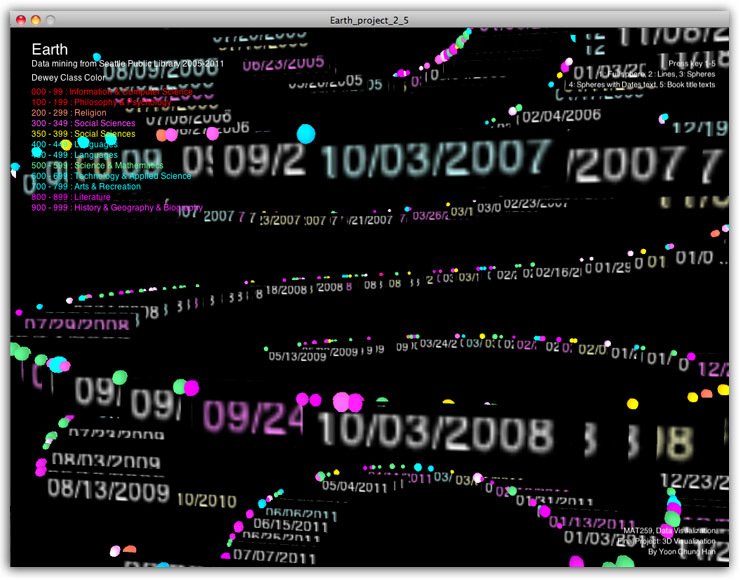 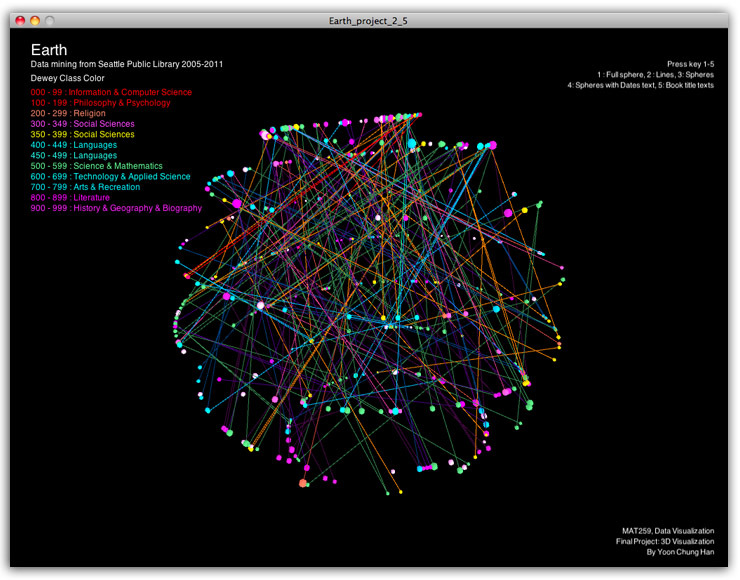 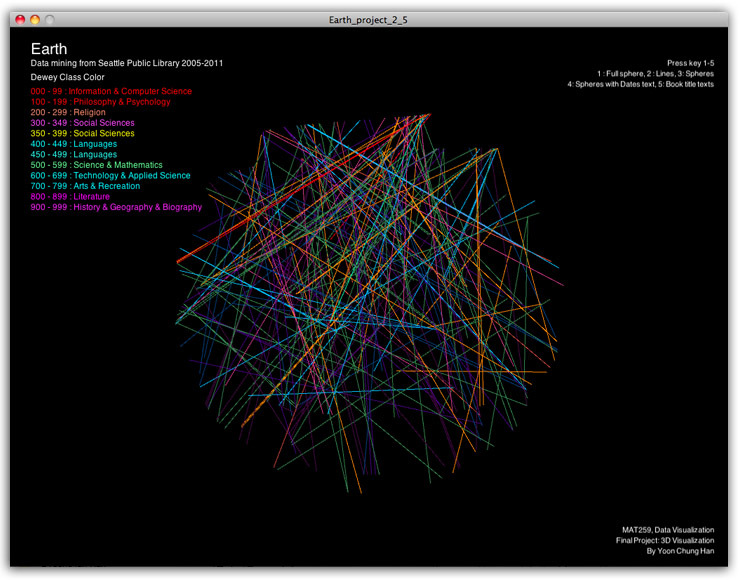 The main goal of this project was to explore total transactions between 2005-2011 related to "Earth." 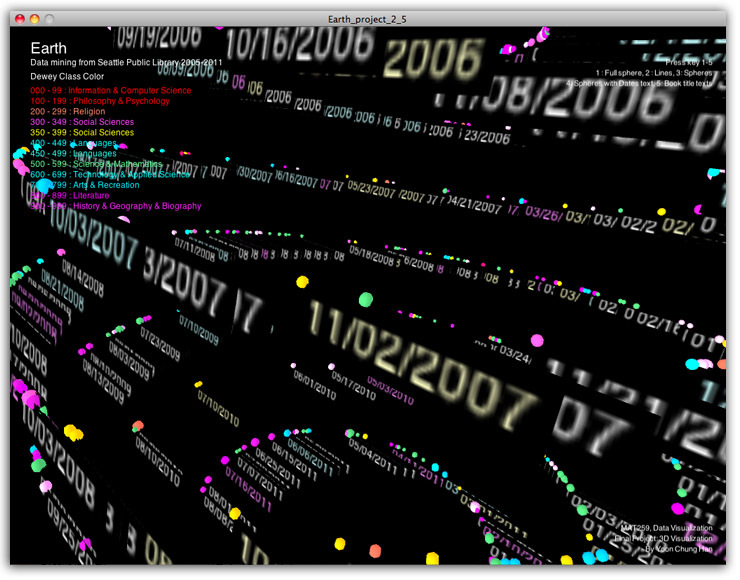 The query searched the whole transactions that had more than 20,000hours(833days, 2.28years) checked out duration. 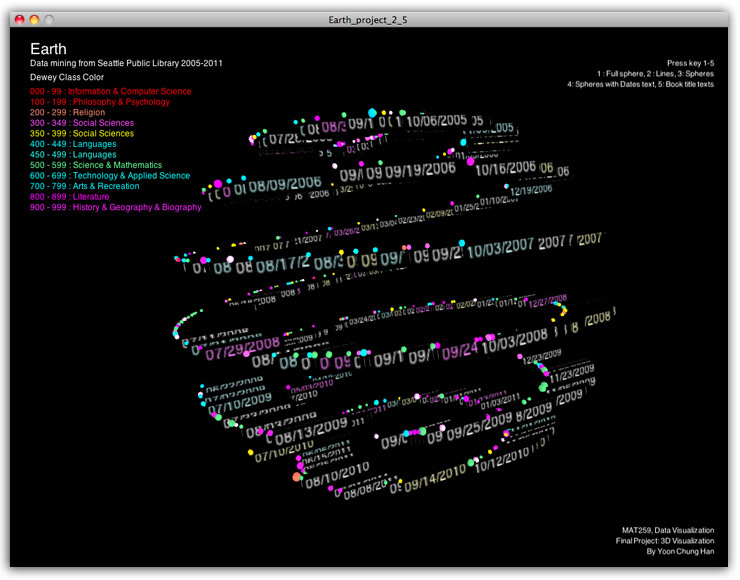 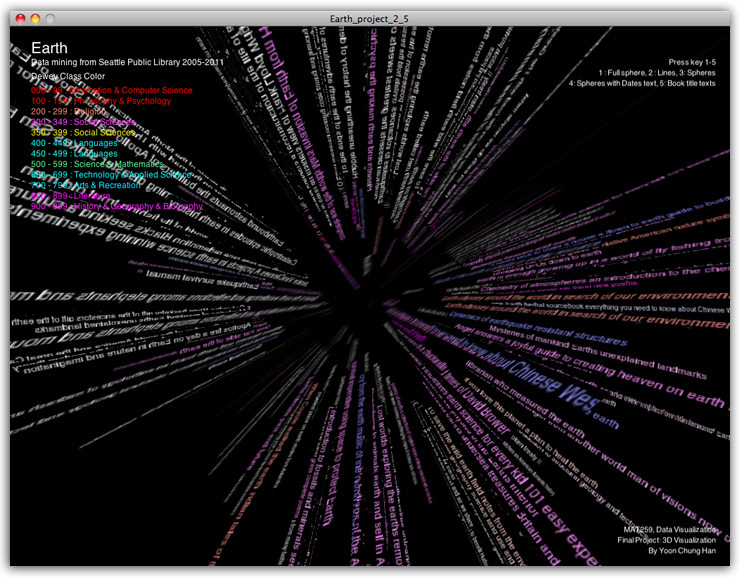 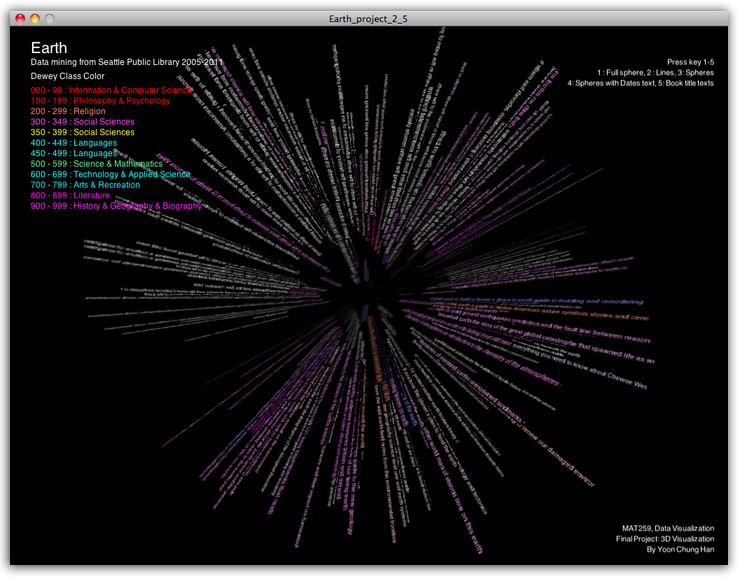 The book contents included "Earth" in titles or keywords.